National DNA Day is coming up! Here's a way your classroom can celebrate #DNADay18 by making science art with Molecule World for iPhone or Molecule World for the iPad and sharing it with others. 1. 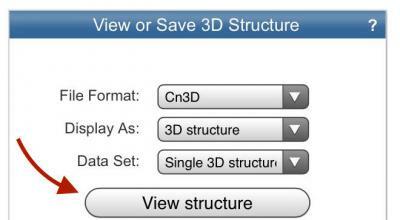 Search for DNA structures in the NCBI structure database (MMDB). 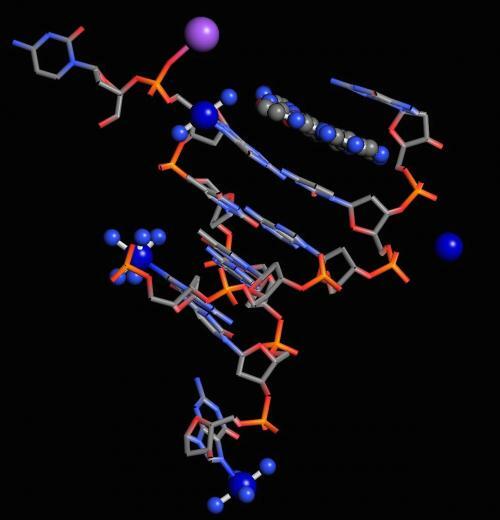 The molecular modeling database at the NCBI contains at least 6252 structures with DNA. That makes plenty of molecules to choose from. 2. Scroll through the list of structures or add terms to narrow your choices. You might look for special kinds of DNA like nucleosomes or telomeres. Or take a look at DNA in a complex with proteins like RNA polymerase or a drug. 3. When you pick a structure to view, click the link to see the structure record. 4. Often, a structure record will contain links to articles about that structure. When there aren't links, I just copy the title and do a Google search. One of these will usually tell me something interesting about the structure. 5. Then, I touch the View structure link to download the structure to my iPad or iPhone. 6. And I open the structure in Molecule World. 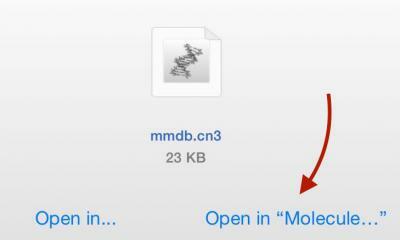 If you have problems in the iPhone app, just get the structure from the PDB instead. 7. You can see this structure (4MN8) below. 8. 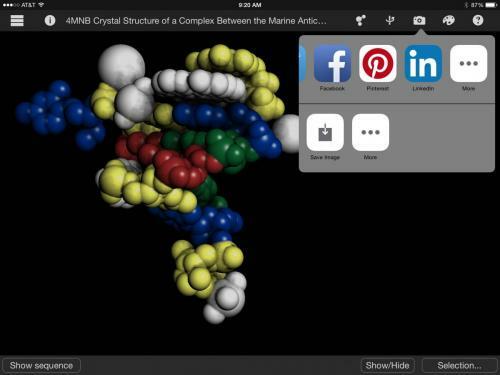 Once a structure is in Molecule World, you can touch the molecule icon to apply different drawing styles, show or hide different parts of the structure, or use different coloring styles to uncover interesting features of the structure. I chose "Space fill" as the drawing style and "Residue" as the coloring style in this example. This helps me see how the drug is inserted (or intercalated) between a cytosine and a guanine. 1. When you have an image you like, touch the camera icon to save the image in the Photos app. 2. If your permission settings allow this, you can share your image directly from Molecule World. 3. Alternatively, you can share your image from Photos in apps like Instagram, Twitter, Facebook, Pinterest, or whatever you like. Be sure tag your image with #DNADay18 so others will find it. If you make your image with Molecule World, it would be great if you added #MoleculeWorld, too. You can see how this looks and some other images we've captured from Molecule World in our Twitter timeline and our Pinterest page. Molecule World and Molecule World for iPhone are available in the iTunes app store.